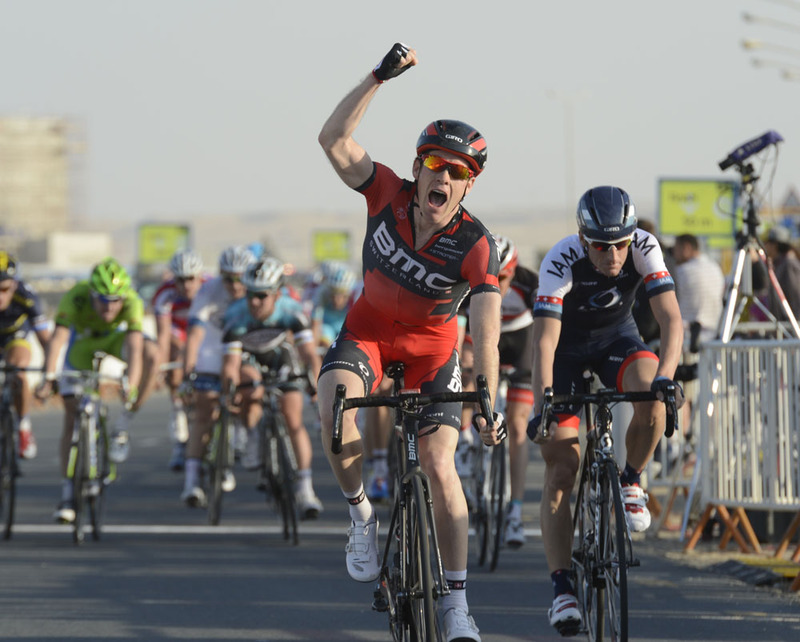 Brent Bookwalter pulled off what fans thought was impossible, hold off the might of the sprint teams in Tour of Qatar stage one. The effort was enough to beat his two breakaway companions and take the leader’s golden jersey. 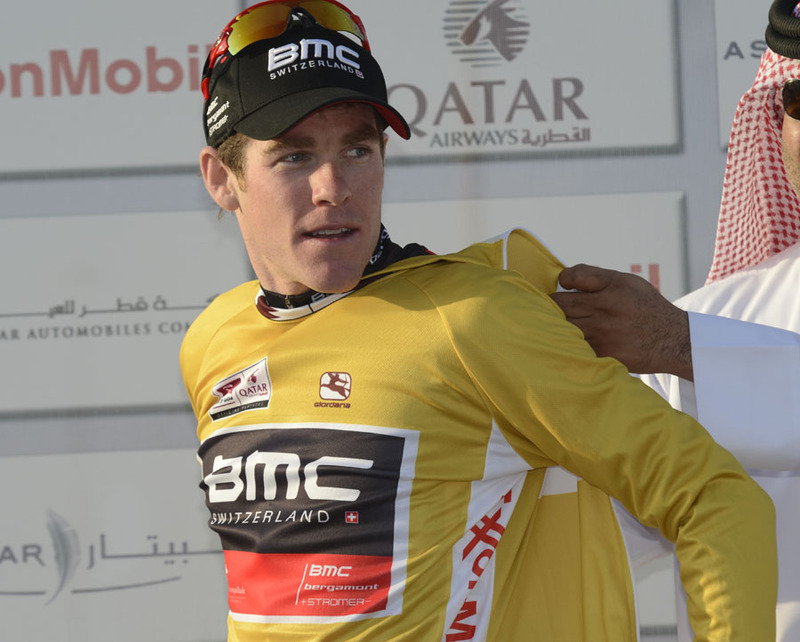 “It’s a big honour to have it, the class of the field here is high,” Bookwalter said of the leader’s jersey. “I came here four years a go as a second year pro. I was blown out of the water, I wasn’t ready for it. Bookwalter leads Martin Elmiger (IAM Cycling) in the overall by four seconds. Team-mate Taylor Phinney picked up bonus seconds in the first sprint and sits fifth overall at five seconds. In all, BMC put five of its eight-man team up front. Phinney and Adam Blythe were working to sprint and Greg Van Avermaet and Bookwalter marked attacks. Elmiger shot clear at 12km out, shortly after a four-man move with Bernhard Eisel (Sky) returned. Bookwalter and Gregory Rast (RadioShack-Leopard) joined. They held 45 seconds heading along Qatar’s west coast. The fans along the road saw Bookwalter lead through the final corner and do the majority of the work. Rast said he was “dead” and Elmiger said that maybe he is too old to pull off a sprint. Bookwalter succeeded, his first big international win, a split-second ahead of the peloton led by Eisel. Mark Cavendish (Omega Pharma-QuickStep) placed sixth behind Elia Viviani (Cannondale) and Eisel. When the race turned directions, cross-winds shattered the peloton. Eisel’s group broke off the front, a 28-man formed behind and Cavendish sat further back at 45 to 30 seconds. OmegaPharma pulled Cavendish back into the game with 10km left. It gave a hand to Sky, but then backed off for the final kilometres. Cavendish seems to be saving his gunpowder for another day. 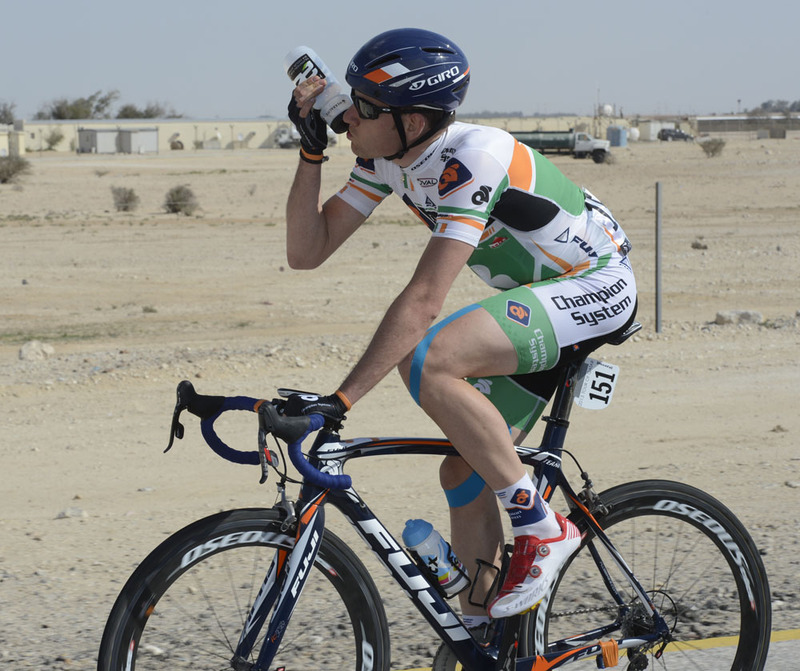 Bookwalter will defend his race lead in a team time trial tomorrow, while Cavendish will look to Tuesday’s leg to Mesaieed.